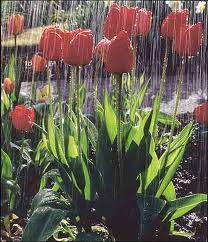 April showers are here! As well as thunderstorms! To some, this is a welcome sign of spring. Watering flowers, hydrating lawns and providing needed replenishment to the earth. To others, this is a reoccurring nightmare that is relived every year. The coming of April showers means the headache of wet, flooded or damp basements and/or leaky roofs. Some things you can correct, other things, like living in a flood plain, there is little you can do to correct. It seems that no matter what we intend to do each year these issues seem to get pushed down the list of things to do as other things take precedence. 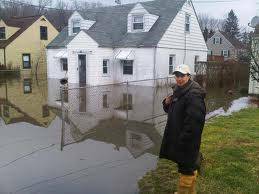 There are some things that you can do to combat the flooding problem that you can have done or try to tackle yourself that don’t need to break the bank. Grading. This sounds expensive and it could possibly get to be more so if there are major issues on the property. But small things like grading flowerbeds away from the house foundation can help funnel thousands of gallons of water away from your home over the course of a wet, stormy season. Downspouts. Properly maintaining and placement of downspouts also plays a big role in the removal of rainwater from the building envelope. It’s not enough just to put an elbow at the bottom of the downspout, the water needs to be able to get away from the foundation and not drain back towards the house. Drainage. This can be entering into the arena of more costly and perhaps not to be done by a homeowner. This option has two areas of focus. 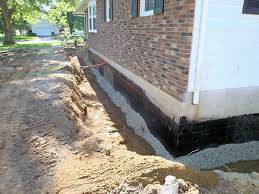 The first is focused on diverting the ground water away from the home before it reaches the foundation with French drain type system and the second is focused on properly draining the foundation to prevent moisture penetration of the foundation thus compromising the moisture prevention system. There is always the prudent advise of getting professionals involved early and to get a comprehensive moisture control plan in place prior to the onset of the rainy season.